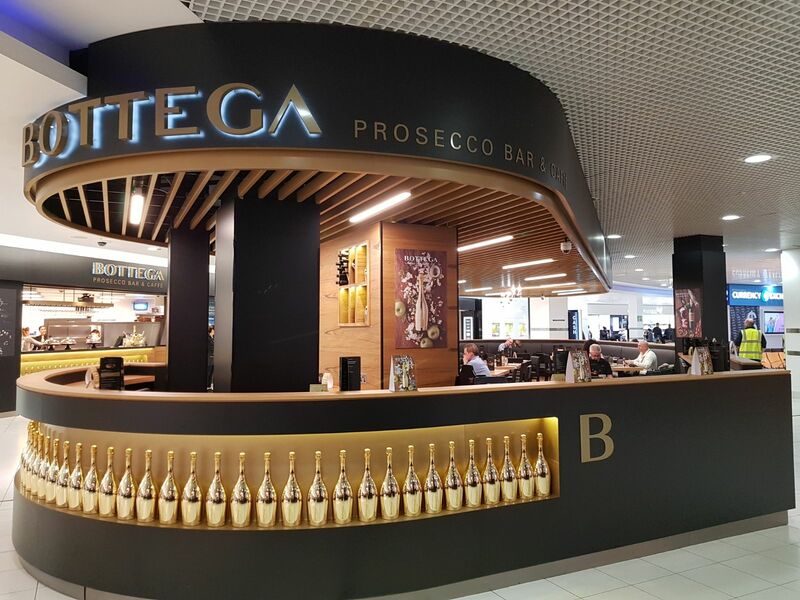 SSP UK, a leading operator of food and drink concessions in travel locations, has partnered with Italian drinks brand Bottega to open a new Bottega Prosecco Bar at Birmingham Airport later this week. The new outlet brings the atmosphere and ambiance of a typical Venetian Bacaro bar to the international traveller. Deeply rooted in the Italian tradition of fine wine and food, Bottega Prosecco Bar offers a broad selection of wines, along with traditional finger food and specialties, that can be enjoyed all day in a relaxed environment. The bar at Birmingham features a selection of dishes popular with airport passengers, given an Italian twist. It also features an Italian breakfast menu to meet the needs of travellers at all times of the day. The bar is the eleventh Bottega has opened worldwide. The Bottega Prosecco Bar made its debut on-board the Viking Line “Cinderella” cruise ship in 2014 and Bottega has since opened variations of the popular concept in locations around the globe including the Seychelles, Abu Dhabi and Milan.